The winners of this year’s BC SPCA Wildlife In Focus Photo Contest have been revealed, and they include pesky raccoons, a majestic bald eagle, and a sunbathing seal. Photos of local wildlife were judged on originality, technical excellence, composition, overall impact and artistic merit by a panel of judges. In a release, BC SPCA chief scientific officer Dr. Sara Dubois said 580 photos were submitted for consideration. “It was a challenge for the contest judges to highlight only a few of the many amazing photos celebrating BC’s diverse wildlife,” said Dubois. 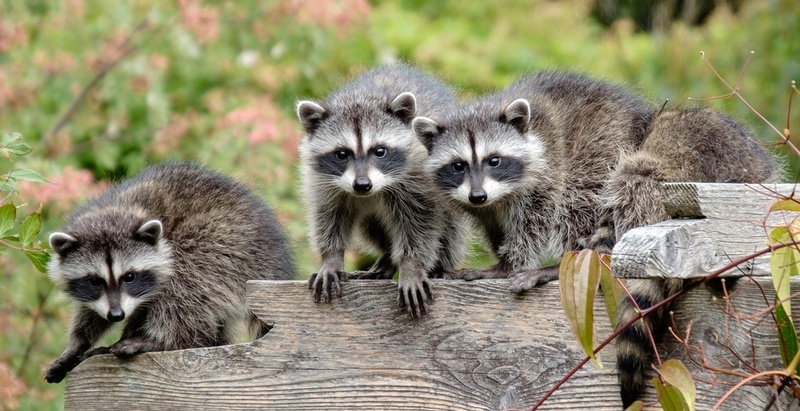 A photograph of a family of raccoons, entitled Backyard Bandits and taken by Mike Woods in Victoria, scooped the top prize in the Backyard Habitats category. 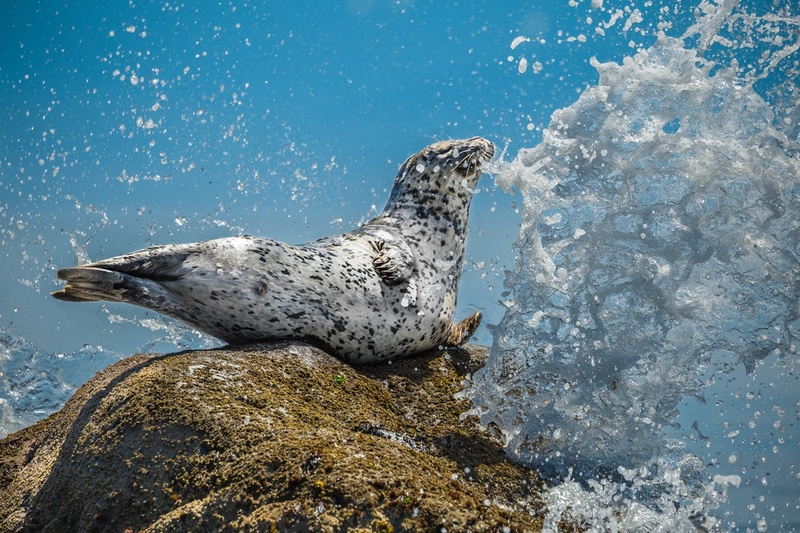 In the Wild Settings category, a photo of a sunbathing harbour seal caught in a crashing wave, entitled Air Guitar Seal and taken by Mike Walsh in Sooke, took first place. 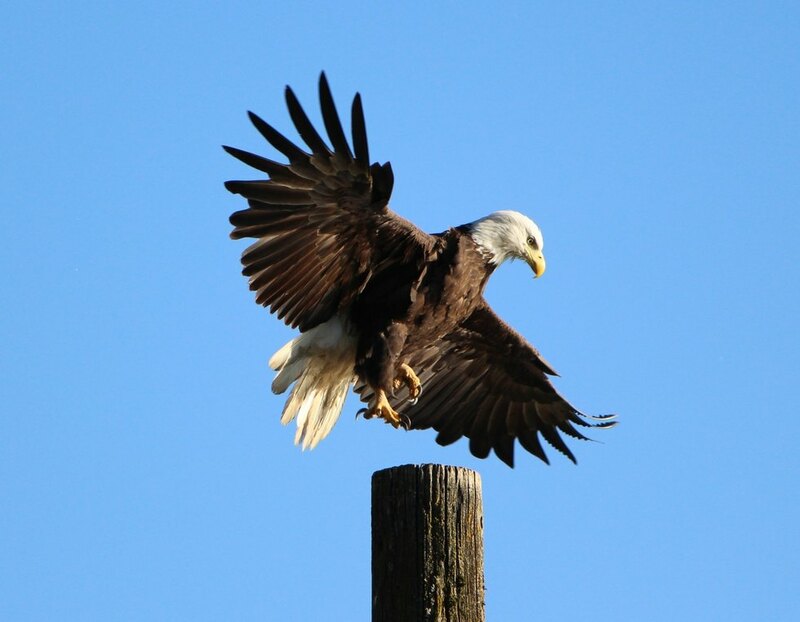 The People’s Choice Award, determined by a public online vote, was handed to And we have liftoff, a photo of a bald eagle in flight from Burnaby’s Carolyn Matt. You can find the full range of winners, judge’s picks, honourable mentions on the BC SPCA Wildlife Photo Contest website. You can also buy a limited edition deck of Wildlife In Focus playing cards, featuring the top 52 most popular wildlife photos submitted, for $8.93. All proceeds from sale of the cards will go towards wild animal rehabilitation.